Despite only being four years old, the Pan-American Cyclocross Championships have already become arguably the third most important race of the year for North and South American riders behind Nationals and Worlds. Racers circle the early November race as a major target and race their hearts out once they get there. In 2018, the Pan-Ams are on the move after four years in Cincinnati and Louisville. The race is heading north to Canada to Midland, Ontario, where the Western Hemisphere’s best will face off this November. The 2018 race will be Midland’s second season with UCI racing. 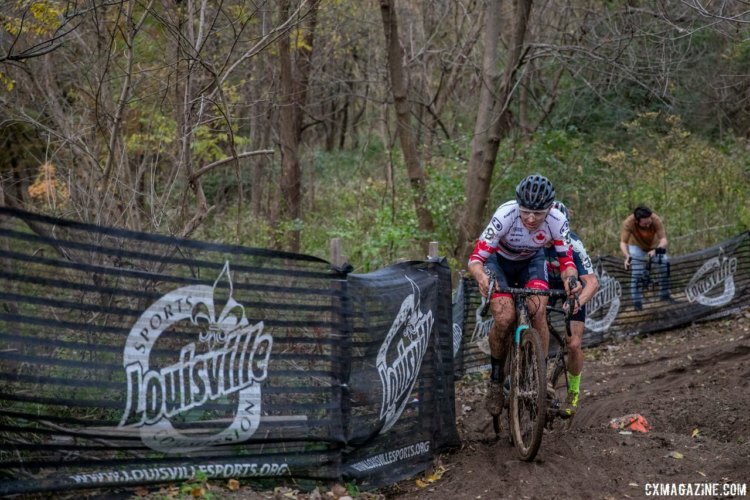 The Silver Goose Cyclocross UCI C2 weekend was held at Little Lake Park in Midland in 2017, and the race will return to the venue in 2018. New for 2018 will be Masters Pan-American Championship jerseys. The event will feature Masters races in 10-year age increments starting with the 35-44 category. 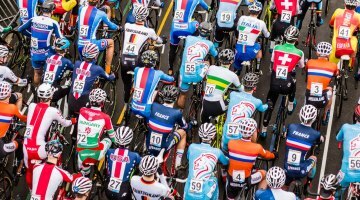 The addition of the Masters championships provides athletes with extra motivation to travel to race while spectating the Elite racing in five categories on Sunday. 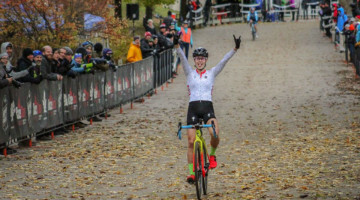 Cyclocross in Canada is on the upswing, with the country placing riders on the podium in both the Women’s and Men’s Elite races in 2017, and the addition of several more UCI races in 2018 to bring the country’s total to eight. 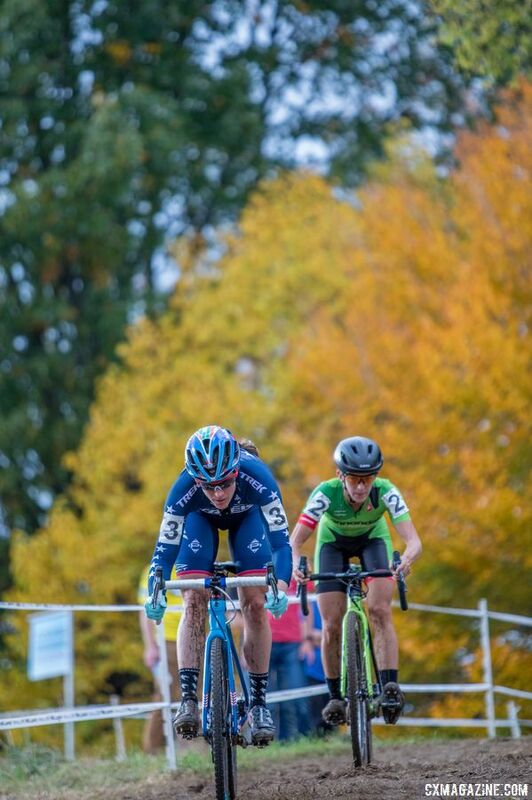 To learn more about this year’s Pan-American Championships, we reached out to race director John Hauser to learn more about Midland, the event and the promoters, CykelHaus Race Promotions. And of course, don’t forget, courtesy of our resident Canada expert Michael van den Ham, make sure to try the Canadian maple syrup and wear your Toronto Maple Leafs—and not Montreal Canadiens—gear while you’re in Midland. 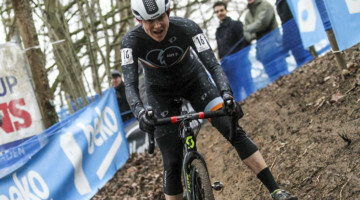 Cyclocross Magazine: Why did you want to bring Pan-Ams to Canada? John Hauser: The opportunity to bring Pan-Ams to Canada started when Brook Watts, Chairman of the Pan-American Cyclocross Commission, contacted Cycling Canada. Our team had run the only UCI-sanctioned event in Canada in 2017, so the fit was there for our team to host the first Pan-Ams held outside the U.S. Hosting Pan-Ams in Canada helps to globalize the sport, it also gives our Canadian athletes an opportunity to win a continental championship on home soil. CXM: This race is part of a larger increase in Canadian UCI events this year. 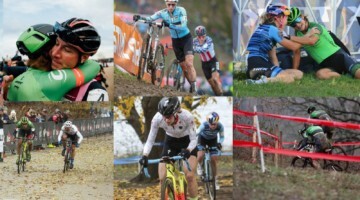 What role do you think these big races will play in developing Canadian cyclocross? JH: It’s really exciting to see the growth in UCI-sanctioned races in Canada this year. Our hope is that these larger events help draw more participants to cyclocross in Canada. CXM: Can you tell me a bit about your organization and the venue? JH: CykelHaus Race Promotions has been running The Silver Goose since 2014. We’re a grassroots organization based out of the rural town of Midland in Ontario, Canada. We are friends and family with a passion for cycling, and we all volunteer our time to organize our races. The progression of our event from 2014 to 2017 is a result of the passion we put into our volunteerism and our passion for our host town. 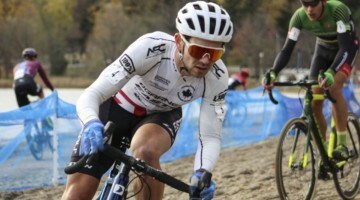 Little Lake Park in Midland has quickly gained a reputation for having the best cyclocross race in Ontario. The venue has everything that’s needed for a world-class cyclocross venue: a long sandy beach, steep elevation changes around the lake, and large stone staircases. CXM: What can we expect from the racing and the event? JH: The nature of our race is highly dependent on the weather, and the weather around the Great Lakes in unpredictable in November. If we don’t have rain or snow, expect the course to be hard and fast. The beach, stairs and some steep hills will put riders deep in the hurt locker. There are some flat recovery sections on the grass near the beach, but if it’s wet, those sections will add to the challenge, and the only place for recovery will be the 400 meters or so of paved road on course. We’re looking to put on a great show for everyone who makes the trip to Midland. Expect a professional course with some great food options and a beer garden on site. CXM: What did you learn from last year’s Silver Goose that will make this year’s race better? JH: Feedback was excellent from both amateur and elite participants at The Silver Goose UCI C2 in 2017. That doesn’t mean we will rest on our laurels. We’re always striving to improve our course and the overall event experience. CXM: Adding Masters categories this year is new. How did that idea come about? JH: That idea came from Brook Watts at COPACI. Adding Masters categories brings a more complete offering to Pan-Ams. There are Elite athletes of all ages; we’re proud to offer the Pan-Am jersey to Masters athletes for the first time, and we’re thankful for the opportunity. CXM: What’s the cycling and ’cross scene like in Midland? JH: Midland is a pretty small town, but the region has earned a reputation as a cycling destination. 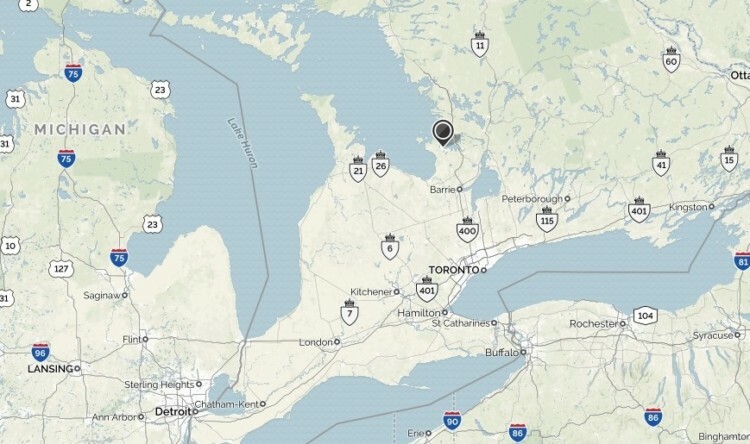 The greater region around Midland is called the Heart of Georgian Bay, and there are a ton of gravel riding options on offer. The County Cycling Tourism organization, Cycle Simcoe, provides great cycling maps for folks looking to venture around the region. Those making the trip for Pan-Ams will be tempted to return. CXM: What should fans and racers check out in Midland if they have some extra time? JH: The region around Midland is traditional First Nation land, and there are many historical sites in the region from European contact with the First Nations in the region. Sainte-Marie among the Hurons is very much worth a visit to learn about the history of the area. For those looking to ride, grab a Cycle Simcoe map and ride one of our area’s signature routes. There are also plenty of arts and culture in the region, and great food. Poke around downtown Midland or nearby Penetanguishene and check out the various shops and restaurants. Midland also rests on the shores of Georgian Bay, which is sometimes referred to as the sixth Great Lake, and it provides some amazing natural beauty. CXM: Thanks for your time. See you in November! JH: Thanks. Looking forward to it.